Las Vegas is famous for its nightlife including casinos, pubs, shows, and discos. But, do you know this beautiful city has much more to offer? Surrounded by 3 great national parks, Nevada is a home to several incredible natural beauties. Red Rock Canyon is the one we are talking about. Enjoy stunning scenic views, desert wildlife and wonderful rock climbing trails with our Red Rock Canyon Limo Tour. Perfect for friends and families, the Red Rock Limo Tour is a 4-hour excursion that offers you the opportunity to escape from busy life and spend some quality time with your folks. The Red Rock Canyon National Park has endless vivid landscapes bathed in red and has an abundance of nature and wildlife for outdoor enthusiasts. For adventure lovers, the Canyon has numerous trails and the average time for easy hikes is about 30 minutes. A few cliffs reach up about 3,000 feet. Just 15 miles away from Las Vegas, the Red Rock Canyon is a perfect stop for picnics. Here, you will find the amazing limestone and sandstone formations including rock faces embedding dinosaur fossils. This incredible conservation area is also home to about 200 different mammals including rabbits, burros, bighorn sheep, coyotes, golden eagles, red-tailed hawks, hummingbirds. Here, you can also find a few wild horses, mountain lions, and bobcats. The Red Rock Canyon Limo Tour includes a visit to the museum, visitor center, and turtle habitat. Do not miss to view the Canyon through a telescope. The national park’s popularity can be estimated by the number of visitors visiting this place. About 1 million people visit this place each year. 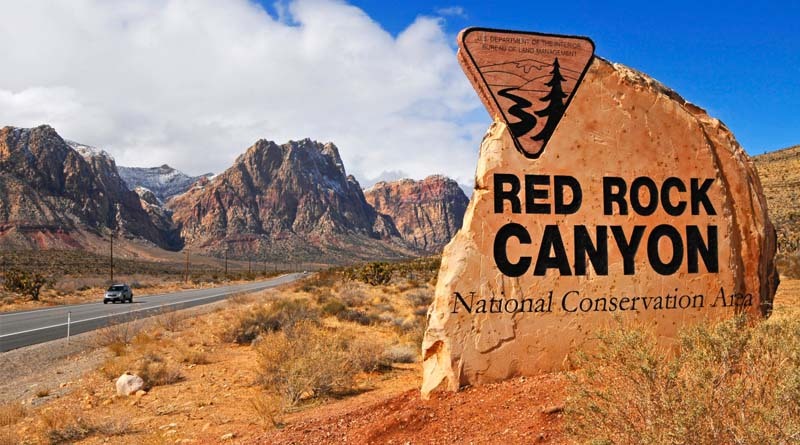 If you are planning to leave the city lights and move towards nature, join our Red Rock Canyon Limo Tour. The tour is available for couples and groups of all sizes.